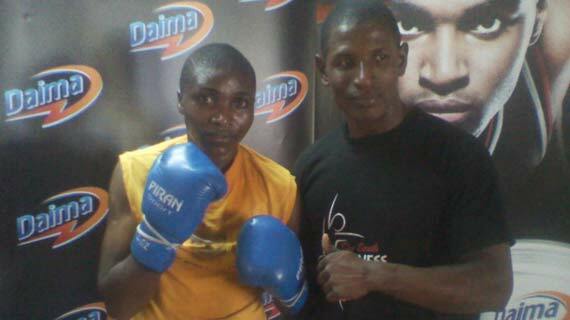 East and Central Africa Bantam weight boxing champion Fatuma Zarika is back in the country after taking part in a non title bout against Belgian Delfine Persoon where she lost on points at the Sporthal Schiervelde, Roeselare on Saturday. The boxer said it was in eventful fight where she gained alot of valuable experience despite the home favorite defeating her on point basis. “The fight was well organized and well fought. She was awesome with the home fans rallying behind her. I give her credit for the match.” Zarika said. Her coach Julius Odhiambo praised the boxer for overcoming the home crowd and concentrating on the fight. "Zarika was confident and concentrated on her opponent with great composure. Again losing on points doesn’t bother us. You can never win on points against the home based fighter. You can only defeat the home player via knock out. For us it was a great outing.” said the coach.